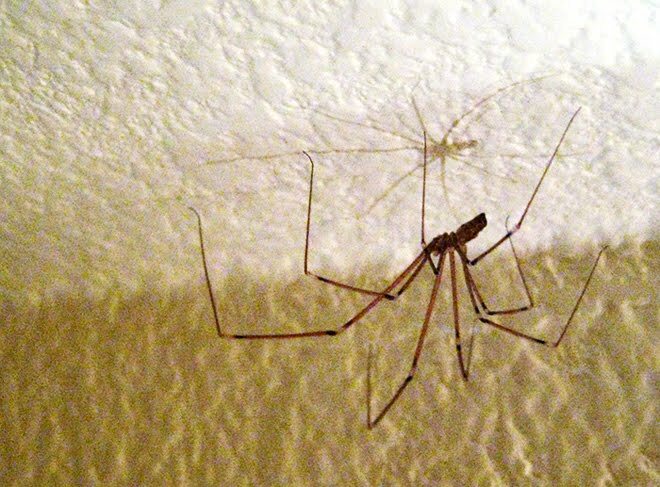 There is a spider on my bathroom ceiling. Since he (she?) hasn't moved in about a month, I have decided to name him (her?) Frank. Frank is basically part of the family now. ...he has definitely seen me naked.